For lease at $15/SF/Annual. Retail store fronts now available at the Outlet Shoppes of Oshkosh. Space ranges from 1800 to 5995 square feet (5995 was used for the annual lease price). Rents range from $15/SF and up depending on location and size, plus NNN. 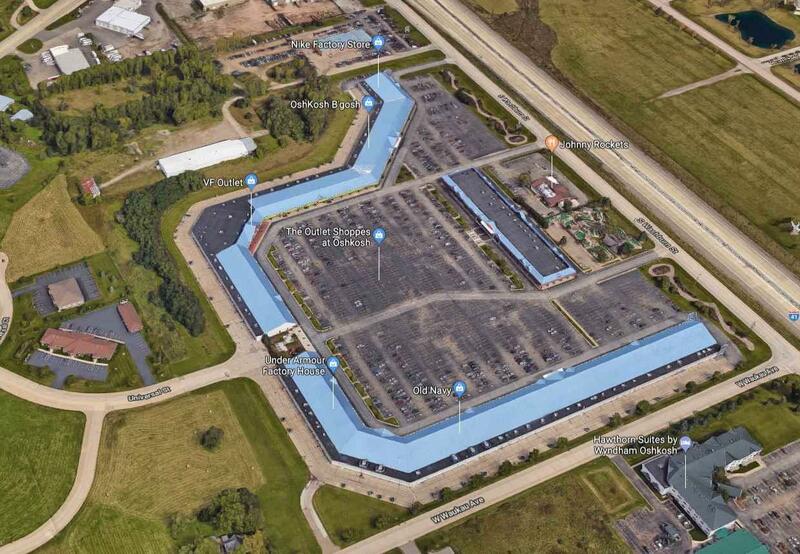 I41 frontage, paved parking and a good mix of other retailers provides for high visibility. Retail fronts not necessary and owner will welcome some service forms as potential tenants.